Interview with Nigel Short, Chess Grandmaster, chess columnist, chess coach and chess commentator. Nigel Short needs no introduction to the chess fraternity. 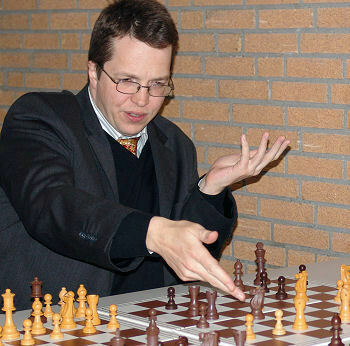 He is one of the most recognizable names in the game of chess. I took my chances in asking him for an interview and was very pleasantly surprised that he accepted. 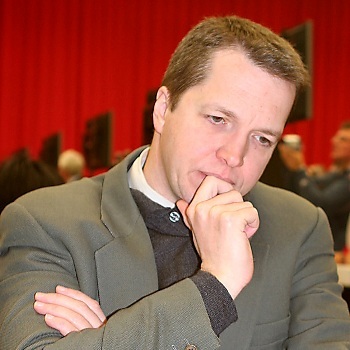 Why was Nigel Short chosen for an interview on Africa Chess Net? He has shown a great deal of interest in the continent as evidenced by the number of trips that Nigel has made to the continent. Some of the questions should have been taken out but Nigel’s responses are priceless. 3. Where are you based, city and country? 4. What inspired you to move to Greece from the UK? My wife is Greek and weather is better! 5. What do you do [profession]? 6. When did you start playing chess and how did you start playing? I started at the age of 5 after watching my older brother play against my father. 7. How has chess impacted your life? It is my life. It has provided fantastic opportunities to meet lots of interesting people and visit 100 countries, so far. 8. Which of the two first moves do you prefer, e4 or d4? They are both pretty good. 9. Which is your favourite piece on the chess board and why? My opponent’s king, for obvious reasons. 10. What do you regard as your 3 greatest achievements in chess? Defeating Anatoly Karpov in the 1992 Candidates semi-final. Reaching the final of the World Championship. Winning lots of tournaments in four continents and dozens of different countries. I am proud of my three Commonwealth Championship titles and winning the EU Championship in 2006. 11. Who is your favourite chess player and why? Paul Morphy. First loves are the deepest. (positional, tactical, strategic). What are your thoughts on this? It is not always the case: Sir Stuart Milner Barry was one of the mildest-mannered English gentlemen I have ever met, but he played chess like a caveman. In general though, I think there does tend to be correlation between personality and chess style. 13. 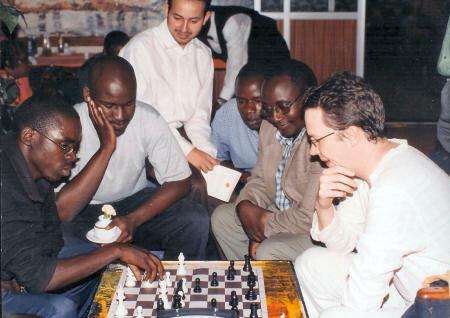 Name 2 chess players you admire in Africa and why? I admire all those who have obtained the GM title and all those who are knocking on the door of that club. 14. What do you think is the right age to start playing chess and why? As early as possible, in general. Four or five would be good. 15. Do you still take part in tournaments and if so, how often? I take part in lots of tournaments. My next event is the Sigeman Tournament in Malmo Sweden. I will play two tournaments in Canada – in Edmonton and Ottawa – and participate in Jakarta in October. There will doubtless be other events as well. 16. Why would you encourage anyone to take up chess? I like South Africa greatly. It is a beautiful place with a difficult history, but I consider it a land of great opportunity. I could easily live there, were it not for the fact it is far from the main centres of chess. I am also fond of Malawi, despite the fact it is very poor. I had a great time when I visited there in 2006. Kenya is fascinating too. Lots of different tribes mixed up in a varied landscape. 18. In your opinion should Chess be made an Olympic sport and why? I think they could make it part of the Winter Olympics. Why not? 19. How would you best describe your chess style? 20. Nigel you have played chess at the very highest levels, playing for the World Chess Championships in 1993 against Garry Kasparov. How have you maintained your hunger in chess? Setting myself different challenges. I also try to play different openings these days, particularly when white. 21. How have you kept pace with the computer generation of chess players? I find computers make my preparation a lot easier. I am quite good at identifying weaknesses in my opponents’ games and I try to duck and weave to avoid being hit myself. 22. One thing that has been striking about your chess over the years is your tactical ability. What is your secret to being so sharp tactically? I practice quite a lot. 23. How many moves do you think ahead generally? It depends on the position. 24. How would you like to be remembered as a chess player? As the greatest English chess player of the twentieth century and someone who loved the game. 25. Regarding your next trip to Africa which country would you like to visit and why? 26. What do you think about the impact of computers of chess in Africa? Computers are the great equalizer. If you have one and an up-to-date database and analysis engine, you basically have the same materials as the world champion. If you don’t – you are screwed. 27. What do you think it will take for Africa to have a world chess champion? Regular tournaments, strong organisation and cheap travel within Africa. Flying tends to be horribly expensive. Once you have that infrastructure in place, you have got the basics. The talent is there. Here is a recent game from Nigel Short from Sigeman and Co tournament where Nigel Short was a tied for first. You can read more about that tournament here. 1. e4 c5 2. Nc3 e6 3. Nf3 a6 4. d4 cxd4 5. Nxd4 d6 6. g4 Ne7 7. h4 b5 8. Bg2 Bb7 9. g5 Nbc6 10. a3 g6 11. h5 Bg7 12. Nde2 O-O 13. hxg6 hxg6 14. Qd3 Re8 15. Qh3 d5 16. exd5 exd5 17. Be3 d4 18. O-O-O dxc3 19. Nxc3 Qc8 20. Qh7 Kf8 21. Ne4 Qf5 22. Nf6 Red8 23. Bd5 Rxd5 24. Rxd5 Qf3 25. Nd7 Ke8 26. Rdd1 Nf5 27. Nf6 Ke7 28. Bc5 Ke6 29. Rhe1 Ne5 30. Qh2 Bxf6 31. gxf6 Be4 32. Bd4 Nc6 33. Bc3 Rc8 34. Rd3 Qg4 35. f3 Qg5 36. Kb1.